Some 170 years ago, Hong Kong was a small fishing village off the South China coast. Today, it is one of the world´s largest trading entities in terms of merchandise value with total trade amounting to US$977 billion in the year 2013. As with any economy built on trade rather than an abundance of natural resources, Hong Kong had to rely heavily upon its port infrastructure. 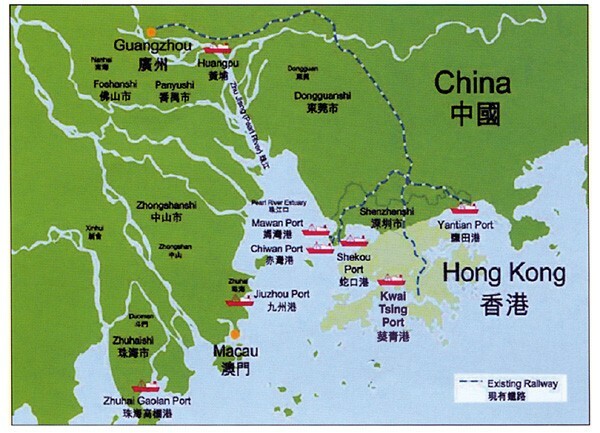 The Port handled about 90% of Hong Kong´s trade by weight. Endowed with deep water draught, a silt-free natural harbor strategically located along the major sea route and with the Chinese Mainland providing a huge cargo base, Hong Kong has become a major transport hub in Asia. Hong Kong has, since its beginning been a free port to all ships without discrimination. There are very few controls on imports, exports and re-exports in Hong Kong. Where formalities exist in relation to import and export licensing, they are minimal and many products do not require licenses. This advantage, together with the opening up of China, has resulted in Hong Kong becoming one of the busiest container ports in the world. Since its formation, HKCTOA has worked closely with various Government departments and private sector agencies to promote the port of Hong Kong. In cooperation with Hong Kong Port Development Council (PDC), Hong Kong Trade Development Council (HKTDC), Hong Kong Shippers´ Council (HKSC) and Hong Kong Liner Shipping Association (HKLSA), delegates from these bodies and from HKCTOA often meet to discuss and promote marketing efforts for the port of Hong Kong. Overseas promotions included visiting Japan, South Korea, USA, UK, Holland and Germany. Our message to major shippers, consignees, freight forwarders and shipping lines remains that Hong Kong will continue to be uniquely business friendly, a free port and the most impotant South China hub port.